The rapid development of technology has changed everything around us including a smartphone. From being a way to connect with our near and dear ones, smartphones today has become the most ideal and convenient way for entertainment, information, and communication. But with new innovations flooding the market with every passing day, buying the best smartphone is no longer a child’s play and requires more than just a smart decision. With Infocus, now you no longer need to ponder over any kind of doubts. Just make a move in the direction of the future to lay your hands on Infocus’ splendid array of smartphones that will dazzle you beyond words. With each of its smartphones packing a punch in itself, Infocus is one of those few smartphone brands in India that are in sync with the needs of the modern consumer. From light-hearted usage to busy buzzing on social network all day long, smartphones of Infocus lets you do everything by being heavy on features but light on your pocket. So, go ahead and read on what’s packed in for you! Get ready to be captivated by the ‘5.7-inch screen’ wonder called InFocus Vision 3 that also comes with in-built memory of 16 GB (expandable up to 128 GB). More great news in store for the style freaks as it lets them take that all-elusive ‘Dualfie’ and get hold of the front & rear images at the same time. 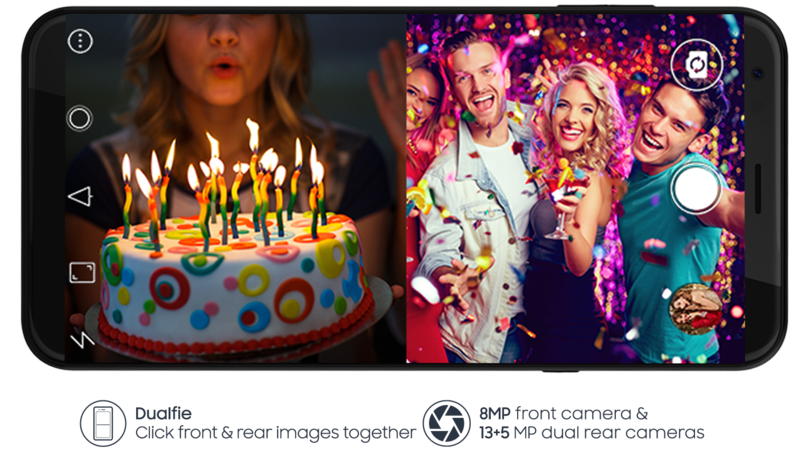 Revel in its 8MP front camera with 4P lens and 13+5 MP dual rear cameras with 5P lens. Moreover, its MTK 6737H Quad Core 1.3GHz Processor and ARM Mali T720 Image Processor is one more reason to go for this amazingly wonderful smartphone. Let the pictures that stand out, do all the talking only with the dashing Turbo5 plus that has an amazing combination of 13 & 5 megapixel rear and front cameras respectively, driven by sharper focus. Backed by a powerful 4850mAh battery, this phone provides you with the power of endless calls, recording videos or gaming. Moreover, with 3 GB RAM and 32 GB internal memory, you can now make even difficult tasks look like a walk in the park! 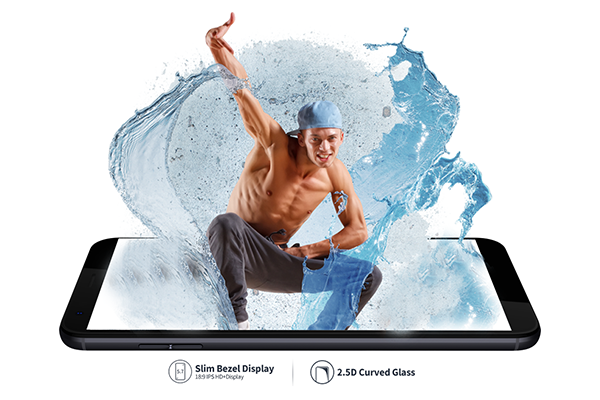 And for the pleasure of your eyes, get a mesmerizing 2.5D curved glass display with 720×1280 IPS HD resolution. And to top it all, one can secure this sleek smartphone with an impressive fingerprint sensor! 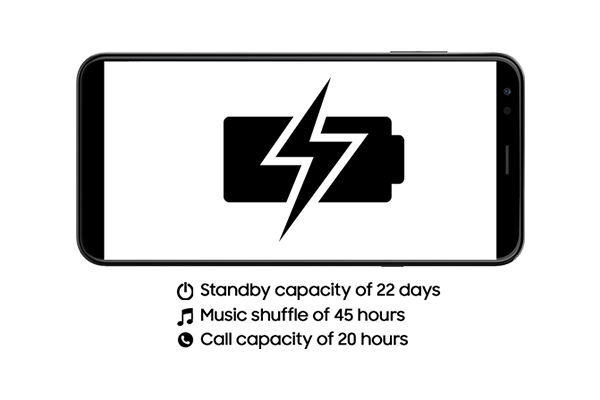 Who says that only a bigger phone can accommodate a bigger battery? With InFocus Turbo 5, now get ready to drool over a sleek, curvaceous, and lightweight body that comes with a powerful 5000mAh big battery. So, go ahead and charge your social presence and get the most out of your apps without an inch of worry only with Turbo 5. Last but not the least, you can benefit from its reverse charging capability and its all-powerful 3GB RAM combined with 32 GB expandable memory!